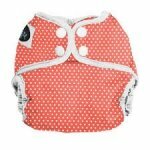 The Imagine One Size Diaper Cover offers a really economical way to cloth diaper your baby. 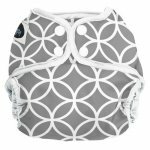 This one size cover has an adjustable rise so it will fit your baby from 8-35+ lbs - one size for all your baby's diapering years! 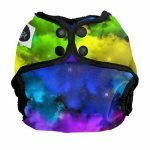 It works great with the Imagine "Smart Fit" Prefolds for the most economical cloth diapering you will find! 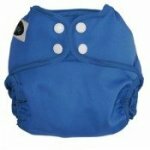 Use the Imagine One Size Diaper Cover with prefolds, flats, contours or fitted diapers. The interior is wipeable so it can be used multiple times before washing. It works well to use 2 covers and allow one to air dry between diaper changes. 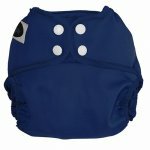 The Imagine One Size Diaper Cover is available with Hook & Loop or Snap closures. The Hook & Loop version has generous foldback tabs for easy laundering. The Snap version uses high quality, durable Snaps. Choose the option to fit your needs!